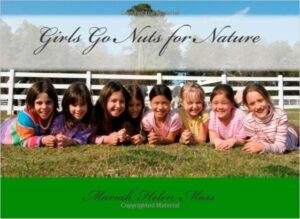 Many years ago, when owner Suzanne Moss’ daughter (Mariah) was just 5 years old they started a little “nature club” together. This club grew organically, with a wait list. Mariah even wrote and published a book about the club! A few years ago they expanded the club, partnering with the Master Naturalist program, to create what is now known as the Virginia Junior Master Naturalist Program. With many years of experience, Suzanne wanted to offer nature experiences to the public at large, all ages, not just children. 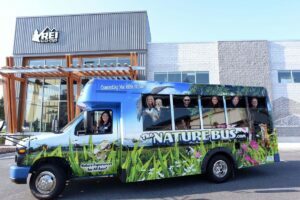 The purchase of The Nature Bus has allowed her to organize Nature Experiences that include both local and distance destinations across the whole state of Virginia. The entire Moss family is excited and very much involved in this endeavor as it is truly a family-ran operation. The Nature Bus is an original idea that grew out of 30+ years of experiences that began with teaching elementary school, teaching swim lessons to children, becoming certified to teach yoga, getting a CDL bus driver’s license, and obtaining other certifications and licenses. All paths led to this project! Naturepreneur Suzanne Moss seeks to provide individuals with the benefits of nature (physical, emotional, psychological, and social); to expose and introduce people whom may otherwise be indoors, to have a chance to spend more time in natural settings, Benefits include relaxation, an antidote to stress and anxiety, nature knowledge, exercise and more. There are countless reports and research studies online that disseminate all oft the health benefits of connecting to nature. The Nature Bus can bring you right to all of those things! The Nature Bus Experiences also provide benefits for the environment through public education and raising awareness of our role and connection to nature. It is Suzanne’s hope that people will have positive nature experiences, feel a deeper connection to the great outdoors, become more attached and grow their affinity and level of concern for the health of our natural world. Tons of Helpful Links Coming Soon.